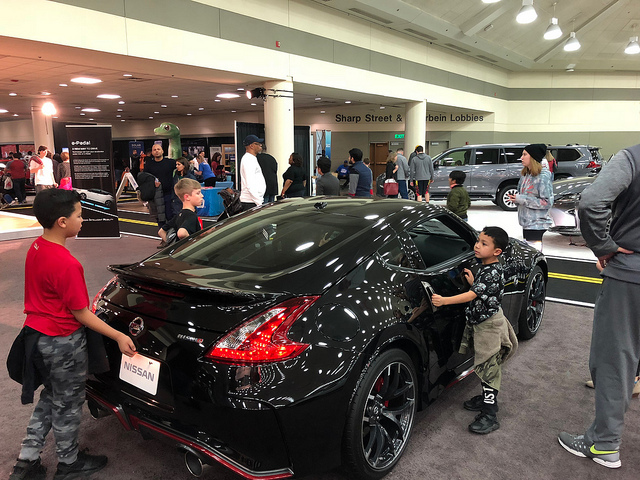 500 shiny new cars, trucks, crossovers and SUVs will be waiting when the 2019 Motor Trend Auto Show in Baltimore opens its doors, Thursday, February 7 at the Baltimore Convention Center. If you’re looking to buy a new ride in 2019, the Auto Show is the best place to start, with an incredible array of models to check out in a no-pressure environment. By the end of your visit, you’ll be ready to visit the dealership with confidence! Bring the whole family – kids under 12 years of age get in free. – Thursday, February 7: noon – 9 p.m.
– Friday & Saturday, February 8 and 9: 10 a.m. – 9 p.m.
– Sunday, January 10: 10 a.m. – 6 p.m.